I like soup. During these cold winter months I make a large pot every weekend–pumpkin and ginger, corn and asparagus, chicken noodle, lamb and veggie, lentil and chorizo. For me there’s nothing as comforting, no meal as intimate or satisfying as a bowl of soup served with a good sourdough. It warms the soul as well as the tummy. I also like kitchen stories. 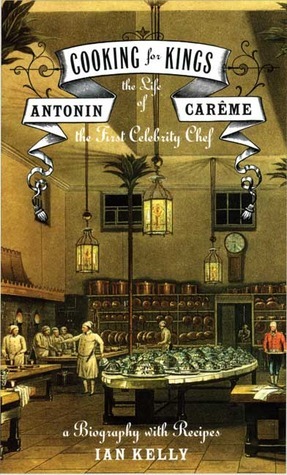 One of my favourites is Ian Kelly’s wonderful biography of Antonin Carême, Cooking for Kings. Carême lived and worked in 19th century Paris. Arguably the world’s first celebrity chef, he was one of the founders of haute cuisine. At his peak Carême cooked for the who’s-who of European aristocracy, from Napoleon to King George IV, from the Ramonovs to the Rothschilds. 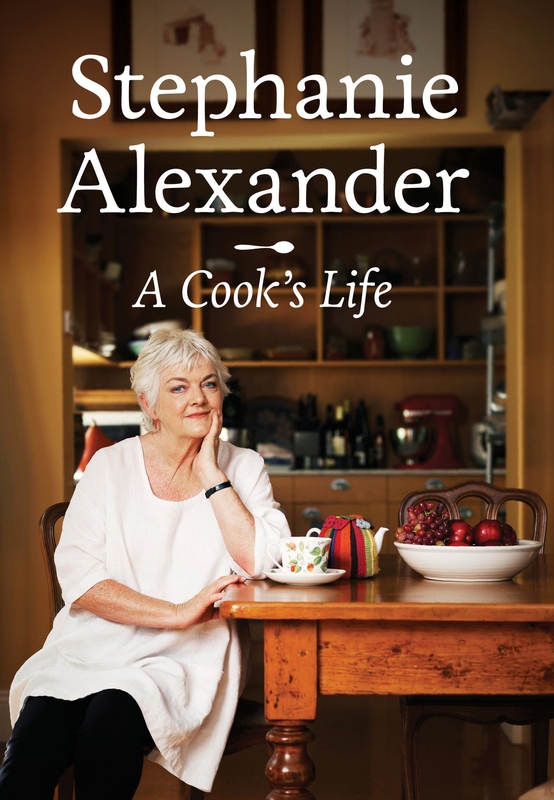 Integral to his fame and influence were his best-selling recipe books. By marrying food and glamour, taking readers to the kitchens and dining rooms of the rich and famous, Carême raised the profile of cooking and established the benchmarks of professional cookery for generations to come. Despite inhabiting the world of culinary excess, Carême held tenaciously to the view that every meal, no matter how lavish or ordinary, must begin with soup. In Carême’s mind there were two reasons for this. Firstly, eating soup was a democratic act. The great leveller of social standing, a bowl of soup served to both pauper and king was the most tangible daily expression of community and equality. Secondly, Carême believed that soup was a healing food, good for body and soul. In fact, the earliest French eating houses served nothing else, for going to a restaurant was considered, quite literally, a restorative (restauratif) act. Soup was the only food necessary. Conceivably, Carême’s passion for soup had something to do with his beginnings. Born into abject poverty in the early 1800s—child number fourteen of twenty six children—he was abandoned by his father as a young child on the streets of Paris. Eventually, he began his working life as a modest pastry chef and from there began his meteoric rise in the world of gastronomy. Perhaps along the way, the humble soup was a reminder of who he was and where he had come from. I’m not sure my reasons for preferring soup are quite as noble as Carême’s, but I do reckon the humble pot of soup deserves respect. Perhaps this weekend I’ll ferret out the faux-silver terrine and make it look a little grand! I prattle on a lot about eating as a spiritual act, and I believe it. But to say it’s a spiritual act does not claim eating as eternally positive. Halos and cornflakes don’t always go together. 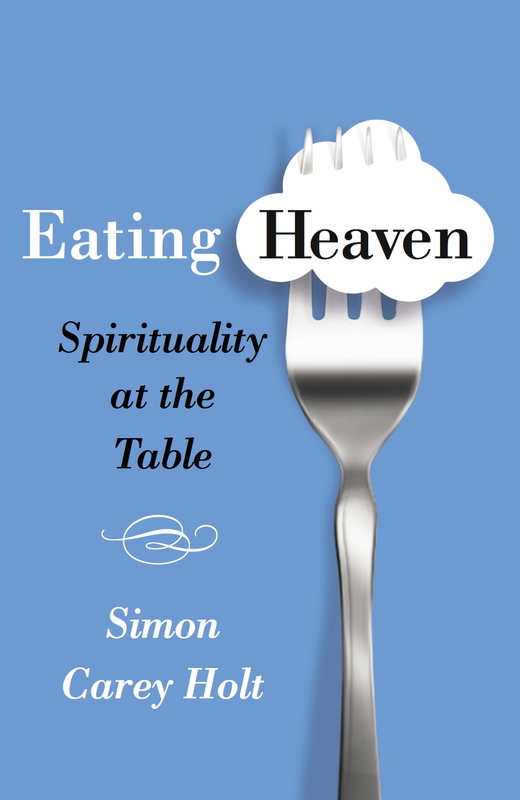 To claim eating as spiritual is to affirm it as an act of meaning. As the oft-quoted culinary philosophy goes, we are what we eat: that is, what, where, how and with whom we eat speaks volumes about our most primary values. Those values may be life- and community-affirming, or not. But they are values all the same. Such is our spirituality—the most daily expression of what we truly believe, both positively and negatively. The contemporary proliferation of eating disorders is a tragic illustration of the point. An eating disorder is eating gone wrong, evidence of deeper values and beliefs that are themselves disordered. How such disordering happens or where it originates is complex. Regardless, disorders like these point to a disordered spirituality, but a spirituality no less. Theologian L. Shannon Jung wrote the book Food for Life: The Spirituality and Ethics of Eating out of his own struggle with an eating disorder and his consequent battle with obesity. Though he doesn’t dwell on his own story, his willingness to name it adds immeasurable worth to his writing. In Part 1, Jung affirms eating as a profoundly joyful act, one through which we delight in God’s goodness in the most tangible way. But that joy is diminished, he argues, when the act of eating is a disconnected one: disconnected from its source, the Giver of life and sustenance; and disconnected from relationship with our fellow human beings and the earth itself. For Jung, food is gift: first it’s the gift of delight: a daily and routine reminder of the providence of God. Second, it’s the gift of sharing: the commitment to hospitality, mission and justice that flows naturally from genuine delight. According to Jung, disordered eating is eating disconnected from one or both of these gifts. 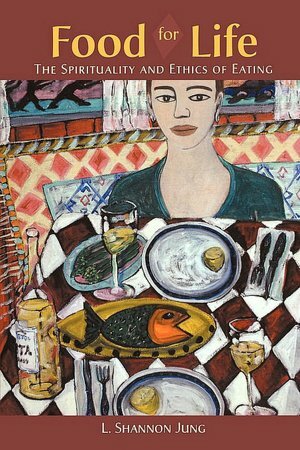 In Part 2, Jung very helpfully places personal eating disorders in the broader context of communal or societal disorders. He lists four categories of disorder, each violating eating as gift. In all of this, Jung says, we are caught … caught in our complicity with unjust global food systems, and in our perversity, loving those very things that are not good for us. What’s more, we are driven by an underlying cultural belief in scarcity, ‘thus we think we have to grab the goodies before they are gone.’ Addressing this complicity and perversity in the kitchen is both a personal and communal challenge. In the final Part 3 of the book, Jung addresses this challenge for both individual people of faith and for the church. His perspective is an important one, sensitively and accessibly written for a wide audience. It’s a good place to begin in the exploration of eating and faith.